Japanese street food, an introduction. 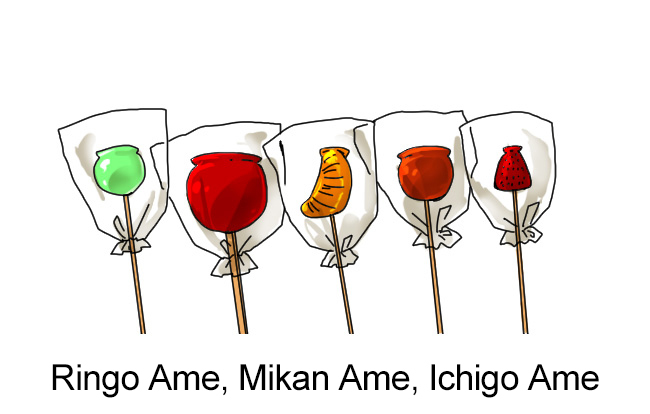 Ever wonder what some of those snacks are that you see in an anime or read in a manga? This guide will help you get an understanding of what that food is. Many of the recipes also have photos from the anime series and/or the manga series that it is from. This is to help our readers connect the dots and recognize what they may have been searching for. There is a facebook page called Foodiver that we obtained many of the images from (see Japan Street Food album). You should check out their page. Lots of food from around the world. A street classic everywhere, candied fruit can be found across Japan and in many variations. From anzu ame (candied apricot) to ringo ame (candied apples), you won’t miss these fruits drenched in syrup. Try ichigo ame (candied strawberries) at the height of strawberry season for a true Japanese treat or the rarer mikan ame – a mandarin native to Japan. 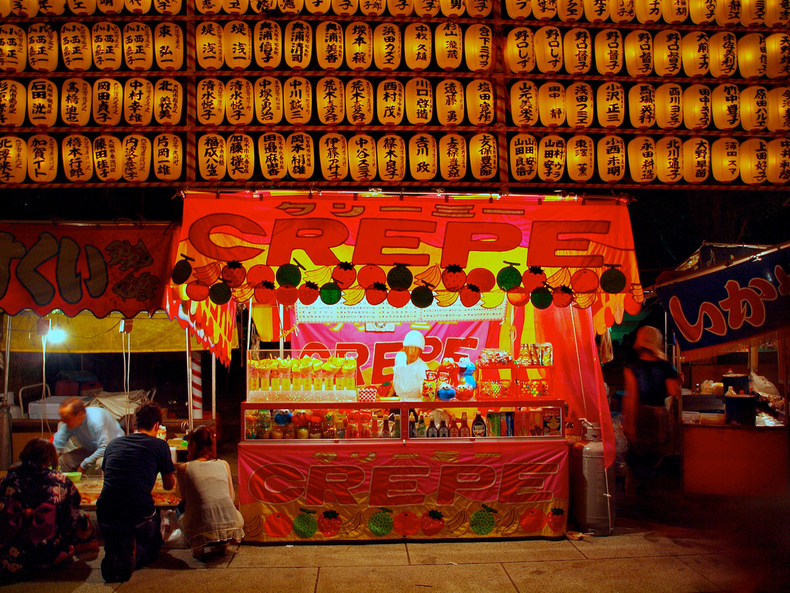 It’s difficult to imagine how many crepe shops there might be in Japan. Certainly over 10,000. Many are trucks or street stalls. Crepe shops are usually surrounded by high school girls seriously contemplating the vast menu. Crepes can be sweat or can be savory as a lunch sandwich.